Kristoferson Creek is used by multiple species of salmonids, but at very different life stages. Kristoferson Creek was sampled in 2009 and 2010 during a small streams study conducted by Skagit River System Cooperative and Tulalip Tribes between 2008 and 2013 (the “Small Streams Report”). Juvenile Chinook, steelhead, coho, chum and cutthroat were all found using the lower 200 ft. of the stream that was sampled. Juvenile salmon use small streams all up and down the coast as they out-migrate from the rivers they were spawned from towards the ocean. They use the small streams for refuge from high energy tidal systems and bigger predators. They dip in and out of fresh water and salt water to get their kidneys and other systems used to salt water (osmoregulation). Adult chum, coho and cutthroat will likely use the creek once access is improved. The old culverts were rated by WA Dept. of Fish and Wildlife as 33% and 66% barriers which means they weren’t complete barriers but far from optimal. Chum are observed each year waiting at the mouth of the creek for favorable flows so they can get through the culverts, and have been found up above Russell Rd. on occasion. Myth: The salmon won’t find their way to the creek if it has been blocked for so long and they weren’t spawned here. Juvenile salmon use all sorts of small fresh water streams from January to late May on their way out to sea. 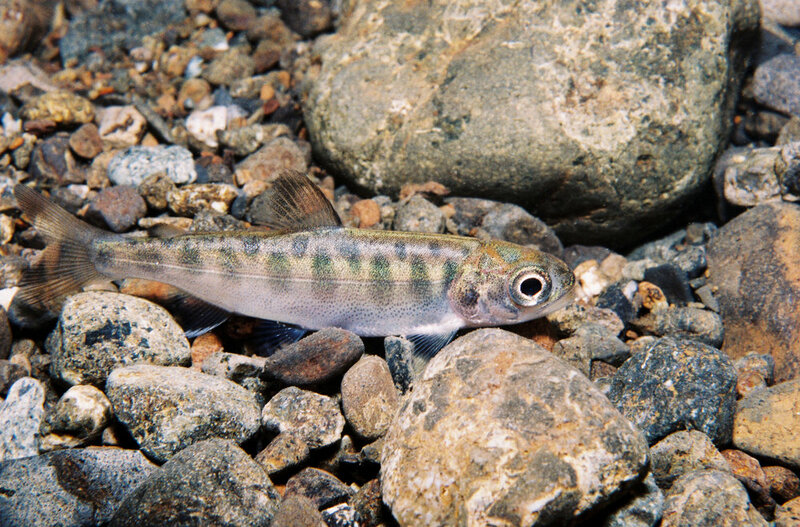 A portion of returning adult salmon often end up in streams other than the ones they were spawned from. The Elwha River was blocked by dams for almost 100 years. But as soon as the dams came down, Chinook, chum, coho and steelhead were seen trying to swim upstream through the still-muddy water. Most salmon do return to their natal rivers. But a few, called pioneers, will try to get into whatever freshwater source they find. Myth: The wood at the mouth of the creek is blocking fish entrance into the stream. A good portion of the logs float during high tide. And the spaces between the logs are increased, over all, and the fish swim under and through. Myth: Kristoferson Creek isn’t big enough for Chinook to spawn in. Kristoferson Creek is indeed too small for Chinook, pink or sockeye salmon to spawn in. Those fish need bigger cobble and gravel sizes to spawn. BUT Coho will spawn in small urban streams, even ditches. Juvenile coho and cutthroat stay in their streams for a year and love habitat like the beaver pond upstream of East Camano Drive. Chum have been found spawning in the lower parts of the creek above Russell Rd., on the years they can get up there. By replacing the old culverts with wider culverts, the stream flow will be more natural and the salmon will be able to get upstream easier, and hopefully in larger numbers. Myth: There isn’t anything for the salmon to eat. The juvenile salmon that use these small streams eat bugs that fall off of the trees and shrubs along the creek (terrestrial insects). They also eat the small zooplankton that grows in the lower and muddy habitats – things like crab larvae, copepods and amphipods. Myth: Kristoferson isn’t a fish stream. It goes dry during the summer. Kristoferson does go dry during the summer on occasion. But this isn’t when the fish are using the stream (although there may be juvenile coho rearing in the beaver pond during the summer low-flow period). There is plenty of water in the stream in the fall when the adults start coming back and in the winter and spring when the small juveniles are swimming by on their outmigration. 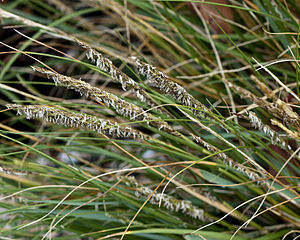 Myth: Spartina trapped sediment and raised the level of the bottom of Triangle Cove. It needs to be dredged. It is possible that the spartina that infested Triangle Cove 10 years ago did capture sediment and raise the level of Triangle Cove. The purpose of restoration is to remove the human influence as much as possible and allow the habitat-building processes to operate in the way the system was evolved pre-Euro-American influence. In this case, restoring the flow in the lower creek channel may affect the tidal channel shape. The fresh water from the creek and the tidal currents from Port Susan will shape the Cove the way it needs to be shaped now. It is also important to remember that even without man-made structures or spartina, Triangle Cove and the surrounding coastline is changing and will continue to change. It is a dynamic system and returning it to what we think it might have looked like 100 years ago is not the measure of success we are aiming to achieve. Got questions or have other myths you’d like us to bust or affirm? Contact Kristin Marshall with SCD at kristin@snohomishcd.org / 425-377-7017.